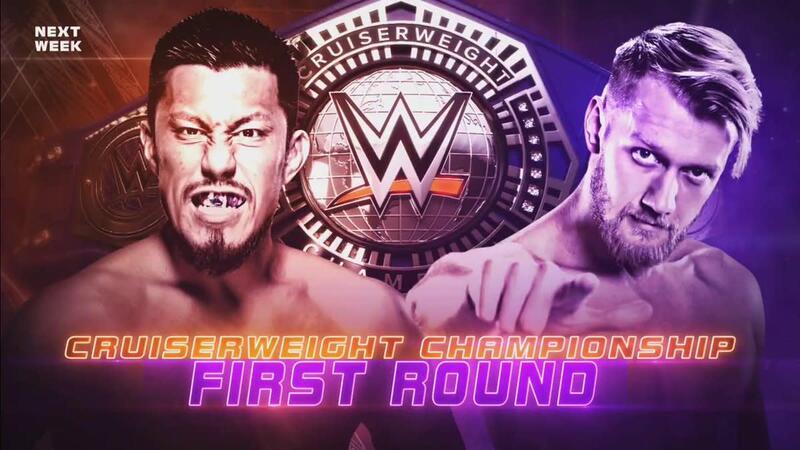 Wrestlers from outside of 205 Live's regular roster appearing has been a theme of the Cruiserweight Championship tournament, and that's set to continue next week. Mark Andrews, who is part of WWE's planned United Kingdom division, will be wrestling on next Tuesday's episode as he faces Akira Tozawa in a first round match. In the show's other tournament match, Drew Gulak will take on Tony Nese. Tyler Bate appeared in the first week of the tournament, losing to TJP. Roderick Strong defeated Hideo Itami last night to advance to the second round. A reboot for 205 Live began when Rockstar Spud (now known as Drake Maverick) was announced as the show's general manager and a renewed focus on in-ring action was indicated. PWInsider reported today that the reboot extends to what's going on behind the scenes as well, with Vince McMahon stepping aside and "no longer personally putting 205 Live together" as of last week's episode. PWInsider noted that Triple H is now overseeing 205 Live after McMahon made the decision to allow him to take over as showrunner two weeks ago. Cedric Alexander, TJP, Kalisto, and Strong have advanced in the Cruiserweight title tournament so far. After Andrews vs. Tozawa and Gulak vs. Nese, there will be two more remaining first round matches. The bracket for the tournament hasn't been revealed, but the new champion will be crowned at WrestleMania.